One of the trickiest places to grow plants is under trees and shrubs where moisture and light are at a premium. Here’s a small selection of plants which are perfectly suited to this difficult environment. 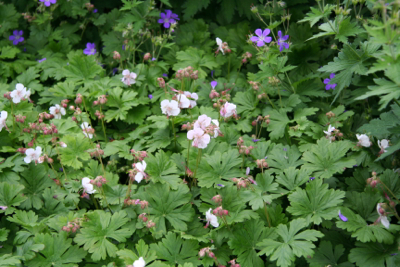 They say there’s a hardy Geranium for every site and Geranium maccrorhizum thrive in full shade and dry soil. Add to this their long season of interest and deer resistance and it would be hard to find anything better to provide reliable and attractive ground cover under trees. 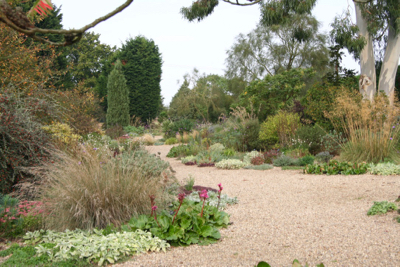 The semi-evergreen leaves of ‘Bevan’s Variety’ and ‘White Ness’ are attractively divided and aromatic and often take on orange/red shades in autumn. Both also flower from late spring to mid-summer. ‘Bevan’s Variety’ produces bright magenta red blooms with deep red sepals and conspicuous veining, while ‘White Ness’ will brighten the shade with its profusion of pure white flowers. 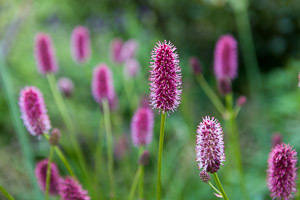 Both grow to around 30cm tall and form spreading, rounded mounds. 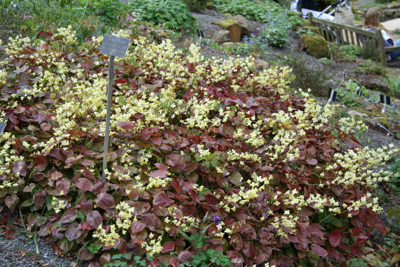 Epimedium x versicolor ‘Sulphureum’ is a reliable and long-lived perennial known for its ability to deal with dry shade. Its heart shaped semi-evergreen leaves are dark green when mature, but are at their most beautiful in early spring when they first emerge with a strong bronze red tinge. Just before the foliage appears, in mid to late spring, tiny clusters of creamy yellow, fairy-like flowers appear close to ground level and last for several weeks. Slow growing initially, it will form low, bushy clumps with a height and spread of 30cm x 45cm. Top tip: use shears to cut the old leaves back to ground level in late winter in order to see the flowers as they emerge. Also known as Variegated Wood Rush, Luzula sylvatica ‘Marginata’ is a great addition to the woodland garden providing textural interest with its dense, carpeting tufts of wide, evergreen strappy leaves. As well as providing excellent, weed-suppressing ground cover, the glossy green leaves edged with creamy yellow will shine through the shade and in spring airy sprays of brownish flowers add height and movement. 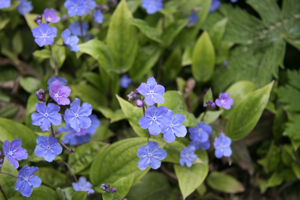 Excellent in dry or moist soil, and happiest in partial to full shade. Height 40-50cm. 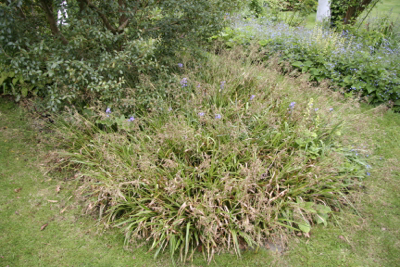 Top tip: Comb or rake off any old, tired or dead leaves and flowers in spring. Tiny, but perfectly formed, Cyclamen hederifolium (the ivy-leaved Cyclamen) provides very valuable perennial colour for the autumn garden. 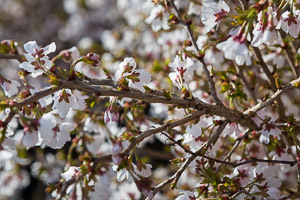 There are pink and white varieties to choose from, both growing to about 12cm high and making a stunning carpeting effect when planted en masse. The dainty upright flowers last for several weeks from early autumn and are produced in succession to give a long lasting and beautiful display. Heart shaped leaves with a silvery marbled pattern follow the flowers providing light and pattern on the woodland floor until they disappear in summer. 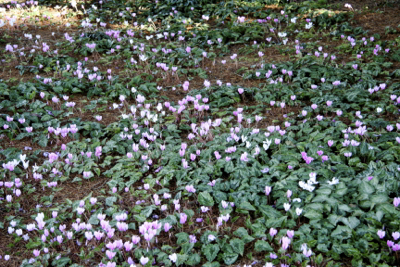 Planted as tubers and spreading over time, these hardy Cyclamen enjoy sun or partial shade, and are very drought tolerant in shade. 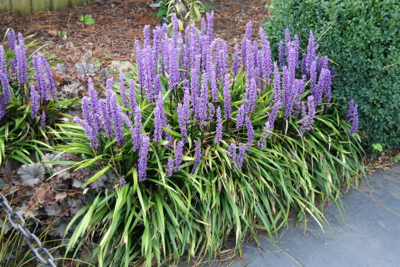 They thrive especially in soils with added leaf litter so are perfect grown under trees and shrubs. This is a bit of tongue twister since its renaming (it was previously known as Stipa arundinacea) so you might prefer to stick to its common name of pheasant’s tail grass. However tricky its name might be, Anemanthele lessoniana is very easy to care for and provides year round colour, texture, structure and movement. Its fountain of slender, fresh green foliage turns red, orange and yellow throughout the season and the colours intensify over the colder months. It forms a clump of about 1 meter in height and spread and in late summer sprays of airy flower heads appear. 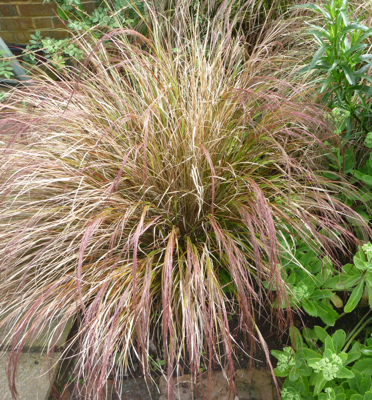 Pheasant’s tail grass is a fast growing and versatile evergreen which grows very happily in partial shade and dry, moderately fertile soil. 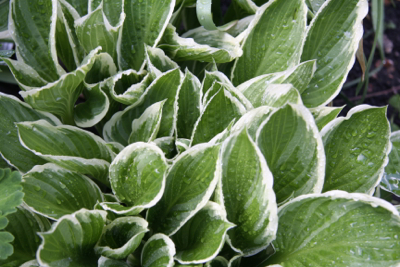 Also a great plant to grow in a container, its only weakness is that it isn’t reliably hardy in prolonged cold periods when it may need some protection. Top tip: In spring, tease out dead foliage by gently running your fingers through it as if it were hair.